We started by walking for a kilometre along the Chess Valley Walk , in the wrong direction, but that led us past an apple tree laden with ripe fruit, so it wasn’t a bad thing. Most wild apples are probably old non-commercial varieties, because they tend to be quite small and misshapen; however these ones were extremely tasty. We passed through the town following alleys and small paths alongside rushing streams. Rickmansworth is at the end of the Chess, where it joins the river Coln and flows south towards the Thames. 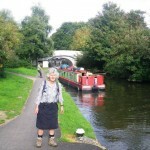 We soon reached the end of Ebury Way, which I recognised from my bike ride back in August, and soon found the Grand Union Canal. Almost immediately we turned off on a track around Bury lake. The trail leads through an important remnant of wetland forest, with trees like willows and alders. On the other side of the trail from the lakes, the river winds its way down the valley. 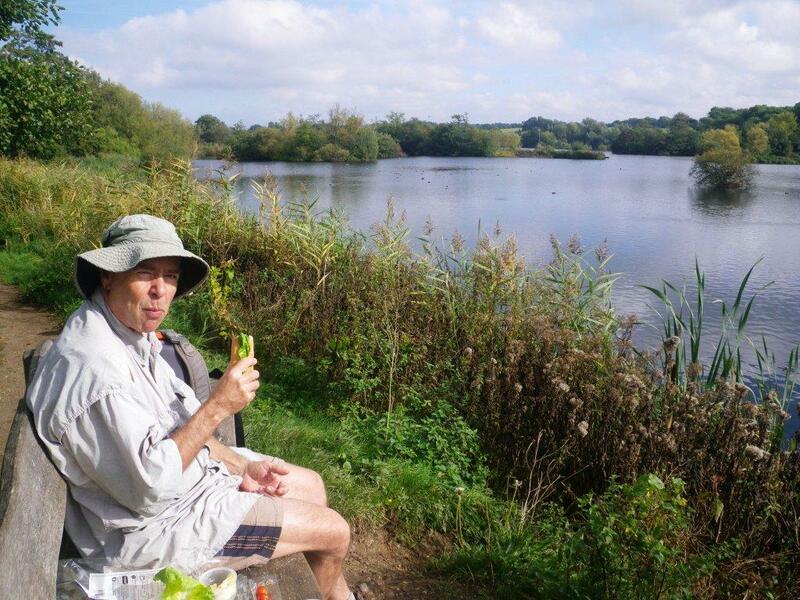 At a bird viewing hide, we struck up a conversation with a man named Fred who told us that the lakes we were walking past are actually old gravel pits. The valley was formed by a glacier which left a deep layer of ground rock when it retreated. In the early part of the 20th century thousands of loads of gravel were dug out and barged down the canal to build Wembley Stadium. As they dug down below the level of the river, water seeped in and now there are a chain of attractive lakes. 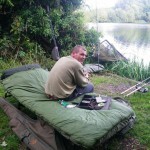 We asked Fred about fishing, and he told us that the most prized species is carp. He said that when he was young there used to be lots of other species like perch and tench, but since the fish in the sea around Britain have become depleted cormorants have flocked to inland waterways and cleaned out most of the small fish. We asked him if he ate the carp he caught and he said if he did he would be hung, drawn and quartered, so he always puts them back. We told him he should come to NZ where they are a pest, and available in huge numbers. It was nearly 2 PM before we found a bench in the sun to eat our lunch. There were hundreds of birds for us to watch catching their own meals while we ate. There are artificial platforms in the lake for birds to nest on, and as a result it is one of the country’s major heron breeding areas. Although it seemed as if we were in the remote countryside, I could see the rusty steel frame of an old, derelict factory through the trees on the other side of the lake, where the canal passes. 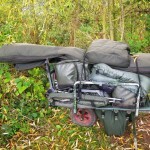 A bit further on we came across an unusual barrow-like contraption that we figured must be camping gear. Soon we met the owner and his mate, who are both serious fishermen. These contraptions are not designed to go any great distance, but allow you to get a kilometre or two from your vehicle and camp in considerable comfort. I’ve never seen anything like them, but I think I prefer to be able to get a bit further from civilisation than these would allow. 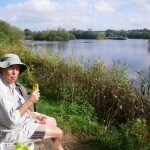 We walked around Stockers Lake, then Springwell Lake, before rejoining the canal and heading back north. 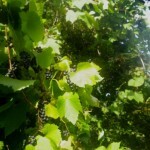 Just before the town I spotted a wild grape vine with what must have been hundreds of kilos of ripe grapes. They were all tiny fruit but had a great flavour, so we scoffed about a kilo each. The vine was hanging in a huge tree, so it would have needed a stepladder to harvest them. I’m surprised the people living on canal boats nearby aren’t making wine out of them, but it may be that they are only so prolific because it has been such an unusually long hot summer. This part of London is quite idyllic, and very beautiful. If I was wanting to live here I think this is the area I would choose. Lovely place for lunch. 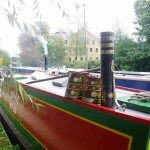 I have always thought a canal holiday would have been great. Not that I had any skills to help!